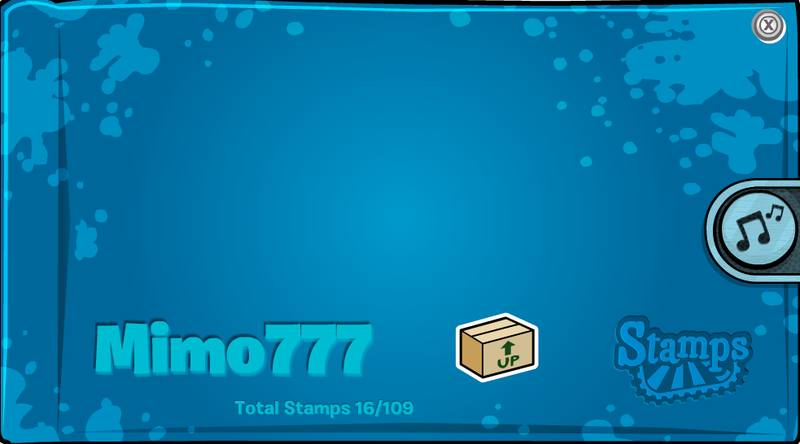 Club Penguin Cheats by Mimo777 Club Penguin Cheats by Mimo777: Club Penguin Mimo Stamp Party! And like many of you, I have earned stamps and then they disappeared! Bummer! Sooo, I was thinking we should have a stamp earning party! Who's with me? So if you have 109 stamps or only 1, join me this weekend! I am not sure what time to have the party, though. Let me know what time will work best for you. I hope to make it a time that Stickers and all the Aussies can join this time. Sweet. Can't wait. I need help on the drill with 30 penguins on the Ice Berg. Now I know that should of been one of the first ones I got but for some reason, when I was drilling with lots of penguins just about everyone else got it but me. Im trying another hard hat now but I havn't been to an ice berg party big enough since the first few days of the stamps. lol. I need help with the 30+ penguins in my igloo. So maybe after earning a LOT of activity stamps for other penguins, we could visit some igloos! P.S. Can i have your email?? I will try to make it but I may not be able to! how about Friday at 1:00pm [August 20] and can i come to the party even though i have all 54 stamps cause im not a member so plz and thnx. Sweet! I think if we get enough people we should drill on the iceberg! It would be really fun and we should have it around 5:00 CP Time. I'm not sure if Mimo gives out emails... If he does, I'm sure he'd post it. I think that around 6pm CP time would work for me. HEY MIMO! WE SHOULD HAVE A ICEBERG TIPPING PARTY SOMETIME! IT WOULD BE SO FUN!!! i need help with thirty penguins in my igloo. i think the party should be at 4:00pm on saturday on the server summit. i chose summit because it is always one of the least crowded, which would allow more people to join than if we held the party on a server like yukon or yeti, servers that are almost always full. Ohmygosh, Mimo! I don't know if you already know but, the second level of jet-pack adventure is for members only! What is up with that?? Do you think that only because you comment this and other posts you can put "-Sprocket07 cpg mod"??? Do you think Mimo would make you cpg mod because you put this??? I live in asia so the time thing might be kinda hard. I think a good time would be 8 or 9 am PST on saturday. let me know what you think! You rock! Maybe I can actually make this party. lol, I've missed everyone. sweet. I've been wasting my stamp earning time trying to earn the elite flying skill in jet pack adventure. No no no Mimo, you've got a lot of stamps! Mimo its so unfair you say "All the Aussies can join in this time" what about the NZERS! We are ahead of everyone in the wordl and two to three hours ahead of Australia in time! Of course everyone forgets us. Not that'll you'll read this anyway. And for your parties you never put up NZ time. I think it would be good to have it at 11:00 am est on saturday. Also if you should have the party at your igloo so you can get the igloo party stamp. Oh yeah do it on a server with little people. You probably didn't see but Mimo posted a post(it is called a post right?) about ClubPenguin making some games advanced levels for members only. So unfair right??? Sounds like a cool party! My stamps got deleted but..... I logged off then logged back on and they were back! Uh Mimo just to tell you nobody has every stamp yet because at this time you can't meet any characters. But anyway see you at the party! Dont forget Kiwis too mimo! (Kiwis are ofternd refered to as New Zealanders). I am from Australia. I'm Kevin278. I'll defiantly be there! sweet can u make it a time so that aussies can join in too? coz im one and last time the party its at 5AM IN THE MORNING SOZ I MISSED IT! Hey Mimo! The party should start around 12:30 in Pacific Time. yay! finally! an australian friendly mimo party! all these times, and i think i speak for everyone here, it's that there are no friendly aussie party's anymore! THANK YOU MIMO!! im ur facebook friend yay!! Hey, that would be awesome. Could you help us get 30 penguins in our igloos? Thanks for making it a time for us aussies! ok great news im hearing i neeeeeeeeeeeeeeeeed the coffee apron!!!!!!! time: now sincer im in the uk 5:00pm? Yay!!!! I got 101 stamps!!!! Can't wait for the party!!!!!!!!!!!! cool sounds great! i can finally come! Can you make it to suit us people in the UK? If you can't then I won't be coming. I'm from Turkey (Not the bird turkey, the country Turkey ;D) and the time here is exactly 10 hours past CPT so it could be between 11:00 am. CPT and 13:00 pm.CPT. Well could you do it like 7 am CLUBPENGUIN TIME becuase i live in europe well ireland! and i never get to your partys! Hmm... I have 98 stamps at the moment since I'm a new member. ;) I don't have Pizza Apron or Coffee Apron. ;) LOL. That's one of the hardest stamps. ;) Yeah, maybe we can visit some igloos! That'd be cool. Thanks. I think so! :) Thanks for the idea! Keep commenting! Sound great! I’m open all weekend and would love to come. I am from Aussie and I don't mind what time, as long as you state the PST time and date. awesome idea! make sure people who live in england can come too!!! Could we have it at 5 PST? That would work really good for me, since I don't have school, and porbably no homework, or I'd be done. Sounds like a great time. I don't get why some people want the party at noon. How could you go? You'd be at school! Well, i hope i get to your partay!! Lets Have it on mukluk!4:00pm on the ice burg!It will be fun! I think it should be on saturday at like 1:00 CPT or something. I live mountain time so that would be great. Also that is prob not too late for australia. It should be on a less full server too so more ppl can come! I missed the last party cuz it was full and i logged on like an hour before the start time! BEST TIME MIMO IS 12.00PM PENGUIN STRANDARD TIME ON SATURDAY ROOM SKI VILLAGE. Ok I'll try to come if the time is ok.
i rlly dont know at wut time but on saturday yes! Im pretty sure he already knows because ppl keep on saying about that but good eye! lol tunet with ur site! no one ive modded has said that lol thats an orginal!oh its said ur brother dosent but it might not be saturday just wait and c! My best day is Friday at any time. Hello. I'm online now [~10.00pm in GMT+8] Are there at least 10 other online penguins now? What server? Have you decided the time? mimo i think i know why your stamps are disappearing. Its because your not opening your stamp book right after you earned a stamp. When I got the happy stamp and the puzzle stamp they kept on disappearing but when i opened my stamp book right after i earned them they didn't disappear any more! Yesterday I became a 1 year member, it's so cool. And about the party, anytime! sooooo cooool, its gonna be soo cool i need help with the 30+ penguin thing, 3-5 pc time whould be perfect but not on friday, any other day. Mimo? how do you start becoming a cpg mod? Sounds awesome! I don't know what time :/ I live in England so can you make it fit so I could come too? and What server would it be? :) YOU ROCK MIMO777! 3 or 4 penguin standard time is good for me. Hmmm, I think around the night time for The USA, because it should be late morning for Aussie, that would work for me, but it should be like after 5 o'clock, just because of dinner. That's just my opinion, plus, it should be on a less crowded server, like Toboggan, or Parka. I would say it should be on a saturday or sunday on a server that doesn't fill up quickly at about 10:00 in the morrning is best for me! Maybe since u reminded him, he will put up your time zone too! Yea that time works for me too! Maybe i'll cya there. but it doesnt matter but the stamp party time can be around 7:00 PM PST! thanks mimo i never been to your parties but i hope i can get to this one! i wonder what the server is... i hope its mammoth! Anyway I'm glad that you are going to have another party soon! I really want to meet you! 6 or 7 pm EST.But if Mimo did it at 1 or 2 PST time it would all work out because that would be 4:00 or 5:00 over where I live. Hey! I can't wait for a party! I only got 101 stamps but, I'm trying to get those famous people stamps. Also, i have never been to one of your parties, I'm so excited to hopefully meet you! And, I think a good time would be 1 PM EST Time. What bout you? See you at your party!! I think Mimo is letting us choose the times, Which day and the server. At the end I think Mimo will choose the best choice. Hey mimo ill join meet you there ps. i need the 30 penguins in my igloo stamp like may others can you please take tour inn to some others igloo? awesome! I hope to see you there. I have only been to one of your parties and that was when you were on your April fool's day account (slooflirpa). Yay! Thanks for adding me when u were being slooflirpa and I hope to see you at your next party. Thursday at 5:00 pm eastern time or 9:30 pm eastern time. yeah i think 9:30 will work most for me. Waddle on, peoples. Awesomeeee! 5 or 6:00 PM (PST Time) Alright? You Have So Many parties!! We should have one for you! See you at the Stamp Party! -___________- XD Rock On CP! I don't know if you posted about this or not, but if you are a member, you can edit your stamp book's front cover. You can change the colour, what stamps, or pins go on the outside. You can also change the layout, from stripes to stars. All you have to do is pull your stamp book up, and click the pencil on the bottom and start having fun. while 4 penguins sat out.Really? Awsome Mimo!! I cant wait!!! I think that the best time would be like 5 or 6 PM in CP time. Ill try to collect all stamps before the party!!! Cool party . I can't wait. I love trying to get stamps and spend loads of time trying to get every stamp. I even managed to get the berg drill one. I know it sounds a bit sad but I have got 81 stamps! I just love getting them Waddle on CP! P.S. The Party Will Raock! Saturday at 8:00a.m Penguin Time. Sweet Mimo I am a aussie and I think about 3:30 my time cool? That would be AWESOME! I also need help with the "Drill with 30 penguins on the Ice Berg" Stamp! I hope the party will be awesome! I think around 6 PM EST would be a good time because a lot of people around the world could join! mimo777!!! .... when is the party of stamps?? i know its at 5:00 or 6:00pm (cp Time) but witch day is going to be that party? 4:00 PM in ETS time would be PERFECT for me,If you want to of course. Yay! An Aussie included party! The best time for me would be 11 to 12 o'clock pm, AEST. Please post the times for AEST for the party! I hope u can have it with a time 4 aussies as i am one. Awesome new stamp cheat! If you get all the stamps in a game when you finish it you get double coins! Honestly true!Ive just done it for Jet Pack Adventure.Can't wait for Mimo stamp party!! Waddle on CP! Hey Mimo! Why cant everyone come! No Fair! Can I still come with 56 stamps? Holla can u make it between 7am-9am british time? Sounds to me awesome because i don't know about you but group stamps are hard to get. So i will totally be thier. I'm Hula Dancer2 if you see me ! sorry mimo said that on the wrong post. anyway, not saturday and make it a time good for EST too, because a LOT of internet users are in that time zone. PS: dont feel too bad about the stamps; i only have seven. theyre really fun i just never get on CP anymore. Cool i need help with the party host stamp get thirty penguins to have a part in ur igloo. There are many opportunities and instruments for corporations available in the market who are willing to make sacrifices to create success for you. There are many opportunities and tools for firms out there who are prepared to make sacrifices to create luck for you.